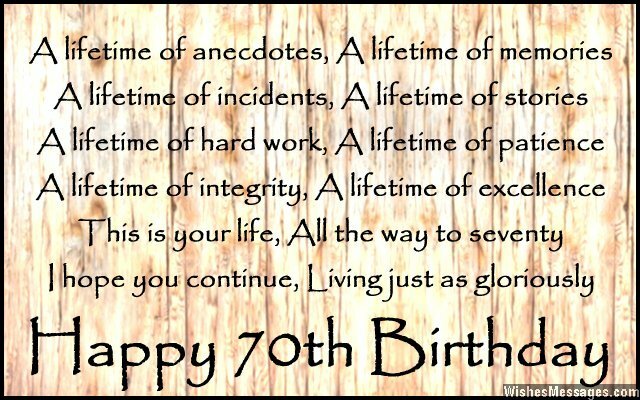 70th Birthday Poems: A seventieth birthday is a unique milestone birthday. 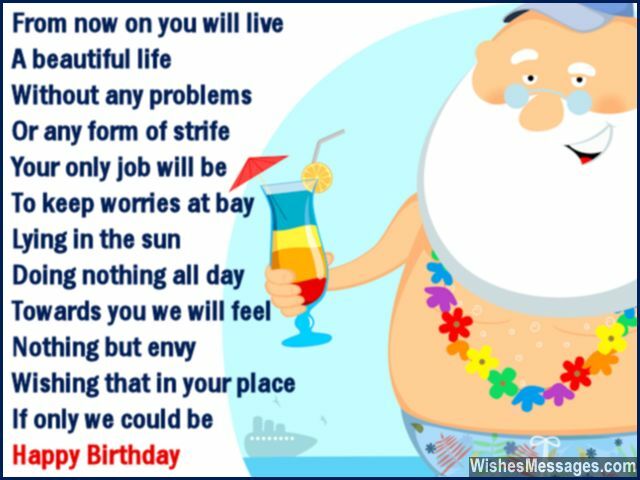 This occasion demands sweet poems, inspirational messages or beautiful quotes to be written on a greeting card and sent to a septuagenarian. 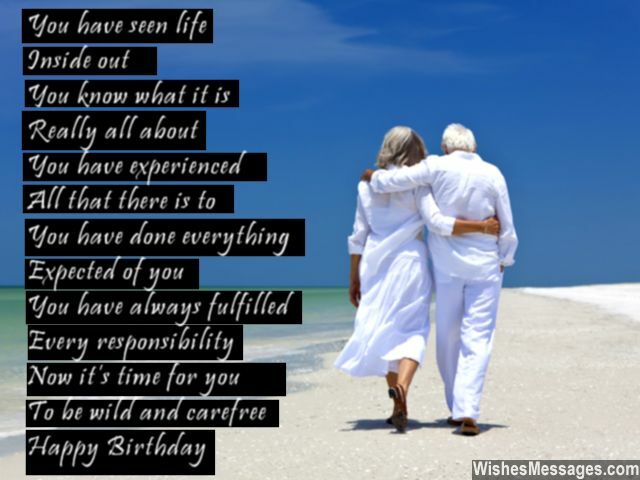 Whether it is your granddad, grandma, uncle, aunt, mom or dad who is celebrating a seventieth birthday, put a smile on their faces by sending them heartwarming birthday wishes. A 70th birthday signifies the beginning of life’s sunset period. This is when old age starts to show its true colors. Health starts giving away and all kinds of idiosyncrasies begin to show up. Use cute birthday wishes or funny notes to tell your loved ones that you will be there for them in spite of all this. Spend some time with them and cherish every moment of togetherness to the fullest.